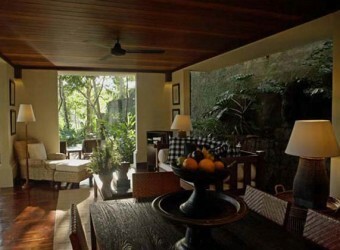 Bali Hotel All villas in Kayumanis Ubud are extensive structure with a private swimming pool. The interior based on the romantic image are standardized for a different design in each villa. There are only 9 villas surrounded by the rich wood, such as kayumanis (cinnamon tree) which is the name of the villa.